The worlds behind the borders of our imagination, the world with entirely different civilization. 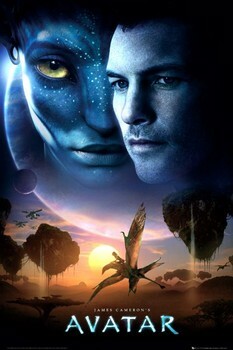 Newly discovered planet Pandora is an unbelievable place, where we meet their inhabitants - the Na'vi. This world of Pandora couldn't be more different from ours: trees are the height of the skyscrapers, a lightning forest is full of mysterious creatures. 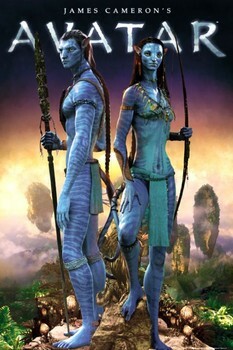 Only Avatars could live on such place - the 3 metres high blue hybrids, you will simply fall in love with. 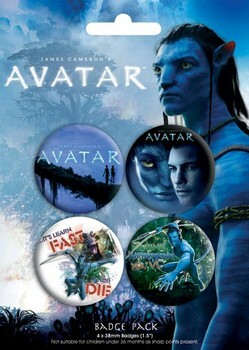 Every Avatar's fan dreams about living on this planet! Decorate your room with Avatar posters - because what else could bring the real Pandora's world atmosphere to your room more than the official Avatar poster? Moreover, you can find interesting movie facts. Did you know, that in communist China this movie was considered "too natural" and therefore going to cinema to watch it was considered as a protest against the regime? 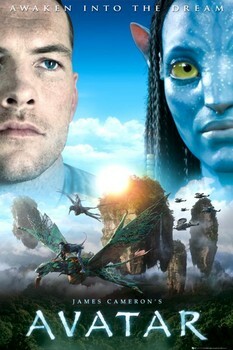 Avatar was the first movie shot on 3D cameras to be nominated for Academy Awards in the Best Picture category. Have you noticed that every animal in the movie has 6 legs?